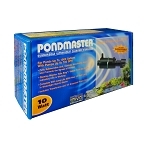 PONDMASTER, Ultraviolet Clarifiers with the glowing monitor halo ring that immediately shows it’s working. 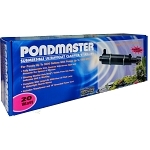 The only ultraviolet lighting that's submersible, it can also be placed outside of the pond. 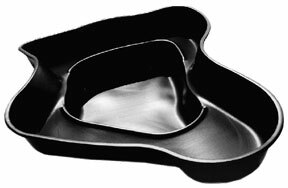 The black color makes it unobtrusive wherever it's used. Visible during the day and night from any angle, the soft blue halo shows it’s working, but does not detract from the beauty of your pond. 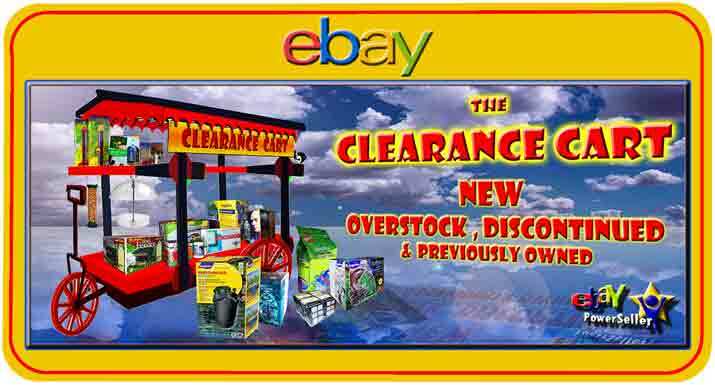 Designed to handle the clarifying needs of ponds up to 6,000 gallons. 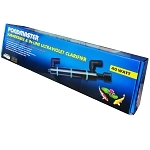 These lights offer great value, along with ease of use unsurpassed by any other ultraviolet sterilizer. TETRA, GreenFree UV Clarifiers Provides permanent control of suspended algae which cause green water.Removes heavy algae blooms-usually within 5 days-and keeps the pond algae-free Maintain beautiful water clarity while reducing pond maintenance.Compact, durable, easy to install and energy efficient. ULTRA-VIOLET lights-they’re what every pond needs!